“You don’t come to Dublin for the weather,” a visitor will undoubtedly hear Dubliners say. A lot. And while it’s true that the sky weeps an average of 191 days a year over Ireland’s capital, keep in mind that the coastal city is also prone to experiencing “four seasons in one day” – so things aren’t as dreary as they might sound (just be sure to bring both sunglasses and an umbrella!). 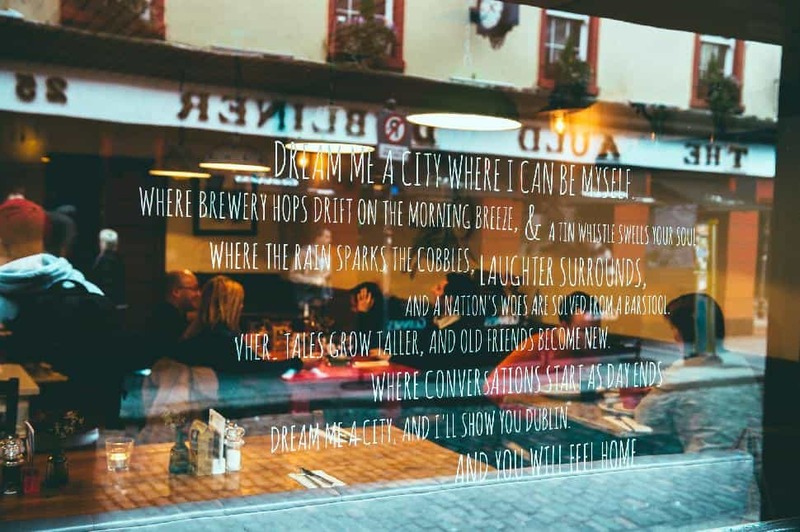 Indeed, Dublin bustles in its twisty downtown streets and boasts both famously friendly people and a vibrant cultural scene – from its museums to its legendary bars. As such, there is a limitless range of activities to keep visitors enlightened and entertained, and they can be experienced rain or shine and no matter the time of year. 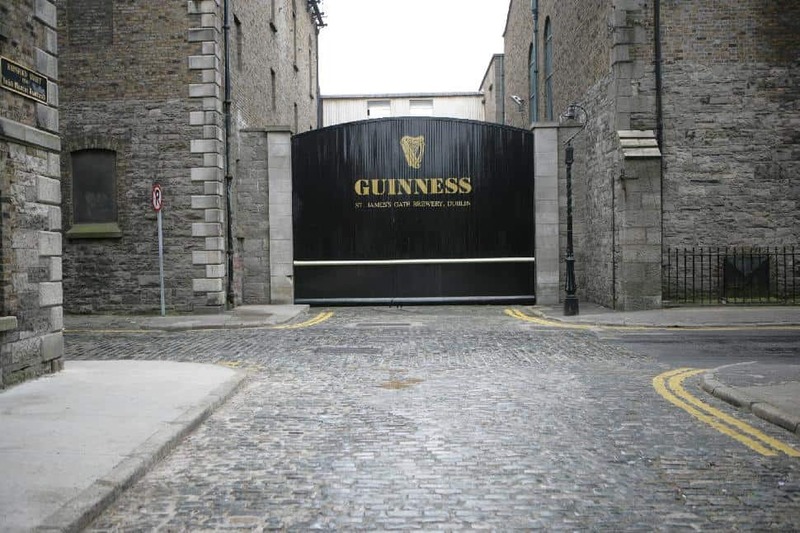 Guinness is arguably Ireland’s most famous export and its home is at St. James’s Gate in Dublin. 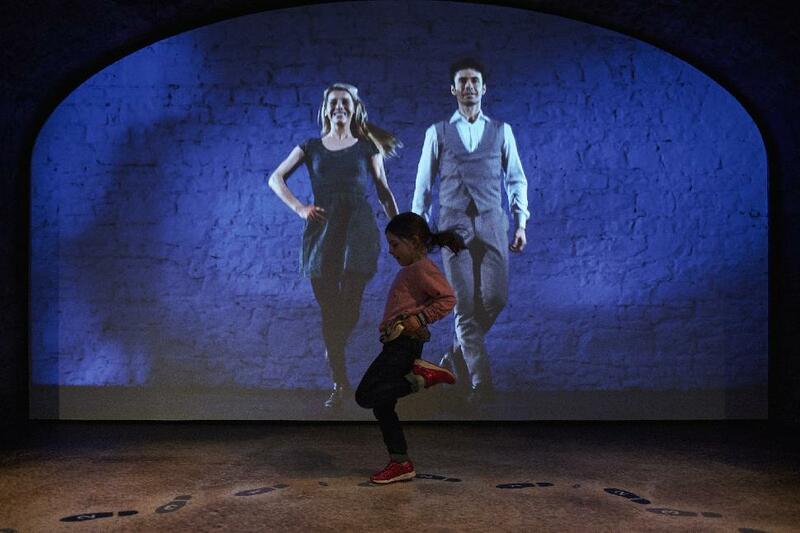 The Guinness Storehouse – Ireland’s most popular visitor site and a World Travel Award winner as the best attraction in Europe – tells the 250-year-old story of the company, which has become the largest stout brewery in the world. Throughout the building, which is uniquely shaped like a giant pint glass (it would take 1.3 million pints to fill it, one learns), visitors will, amongst other things, see a display of Guinness’s colourful advertising campaigns throughout the years (e.g. “Guinness is good for you”), learn how to pour a perfect pint, and, of course, be served a complimentary glass of the “black stuff" at the sixth-floor Gravity Bar, which also provides a spectacular 360-degree panorama of the city. Special “connoisseur” programs, curated by an expert bartender, can be booked. Need a Guinness hoodie, glass set, or set of boxers? They’re available in the world’s largest Guinness gift shop. 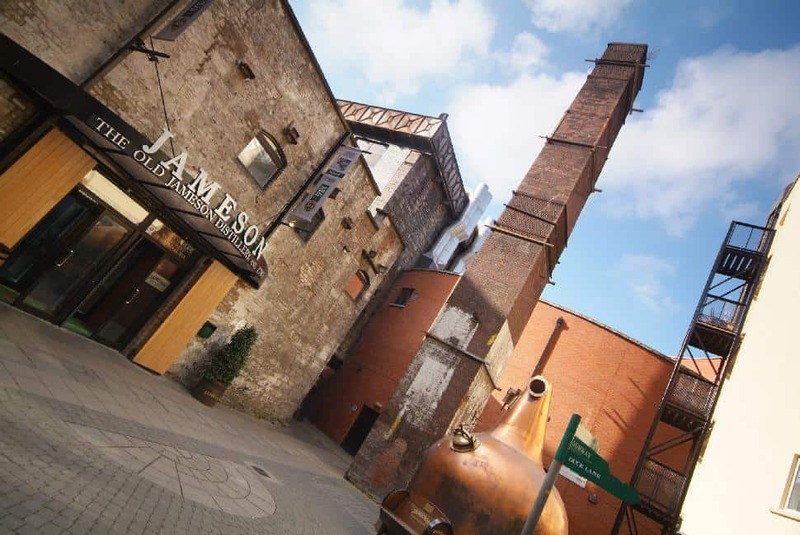 Ireland is equally known for its whiskey and Jameson’s Distillery in Bow Street is the place to get the lowdown on the Irish nectar, which differs from Scotch in the distilling process (it is done three times, not twice). Such subtleties, along with “230 years of stories,” are revealed on a tour, which, like Guinness, includes hands-on participation and taste testing. A “whiskey makers” 90-minute masterclass can also be booked for 60 Euros. 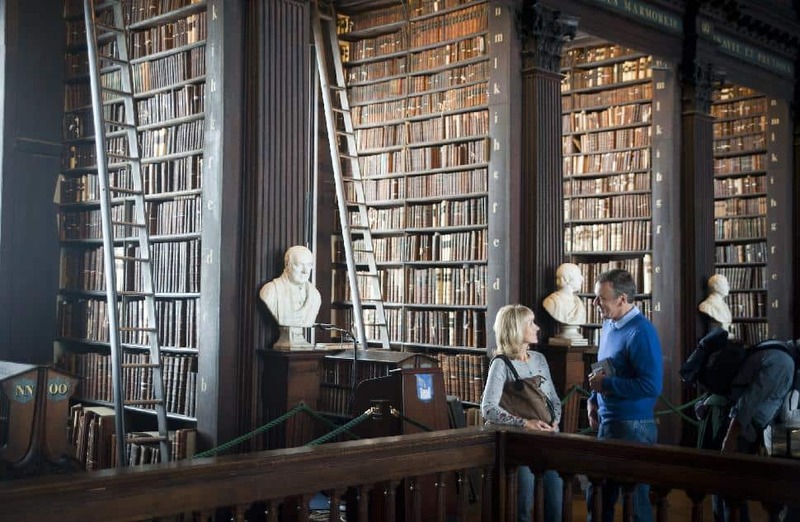 At the opposite end of the spectrum from Guinness and Jameson’s is the Book of Kells, a richly decorated 9th biblical manuscript that is housed at Dublin’s renowned Trinity College in the heart of the city. Dating to 1452, the college’s open-air courtyard and ancient buildings are pretty and peaceful, but it’s the Book of Kells exhibit, and the impressive “Long Room,” of the old library, which houses around 200,000 of the institution’s oldest books (and still by law receives a copy of every book published in the U.K. and Ireland each year) that are the real stars. Ireland’s new museum, EPIC – The Irish Emigration Museum, is a must for anyone with Irish roots (there are 40 million people worldwide who claim Irish ancestry) or who is simply interested in “how the Irish influenced and shaped the world.” Located in the newly developed docklands district, the state-of-the-art facility is a “different kind of museum” – one that tells its stories through people, not objects, and as such, there is plenty of video and interactive technology, including the ability to send a digital postcard to a friend or loved one. Open since May 2016, the museum is Dublin’s newest “it” spot and even welcomed Justin Trudeau in 2016. Professional genealogy services are also available. 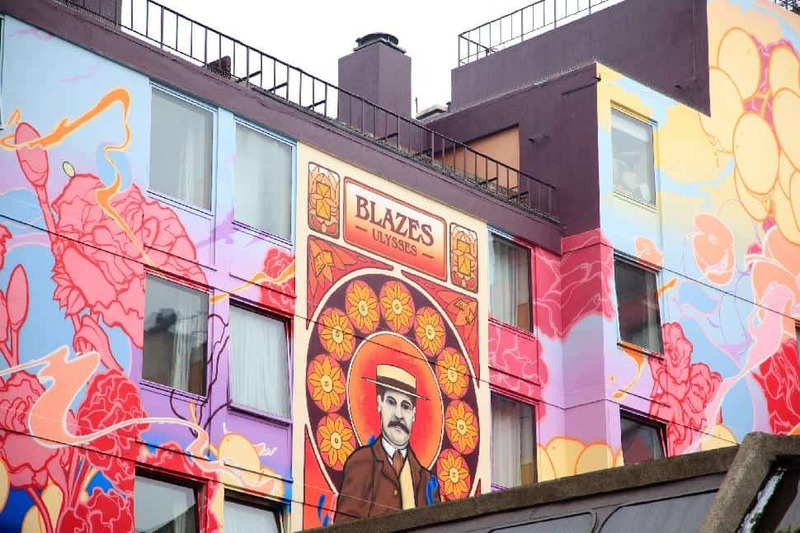 There are reportedly 171 pubs in Dublin, many of them in the famed Temple Bar/Creative District. And where better to spend a rainy day than in one of Dublin’s lively public houses? – not least downstairs at The Stag’s Head, billed as “the best traditional music in town.” However, the area, which dates to the time of the Vikings, is also the cultural heart of the city and “a lovely mish-mash” of restaurants, food markets and boutique shops. It’s the place to be at night, and clearly has a reputation as such, but don’t miss Temple Bar during the day, when a wander through its cobbled, windy streets is full of surprises, like street markets (food, books, design), buskers, parades, and varied venues like The Ark children’s cultural centre, The Irish Rock ‘N’ Roll Museum and National Wax Museum. And be sure to go riverside and check out the Ha’Penny Bridge for a magnificent view of the city along the Liffey. 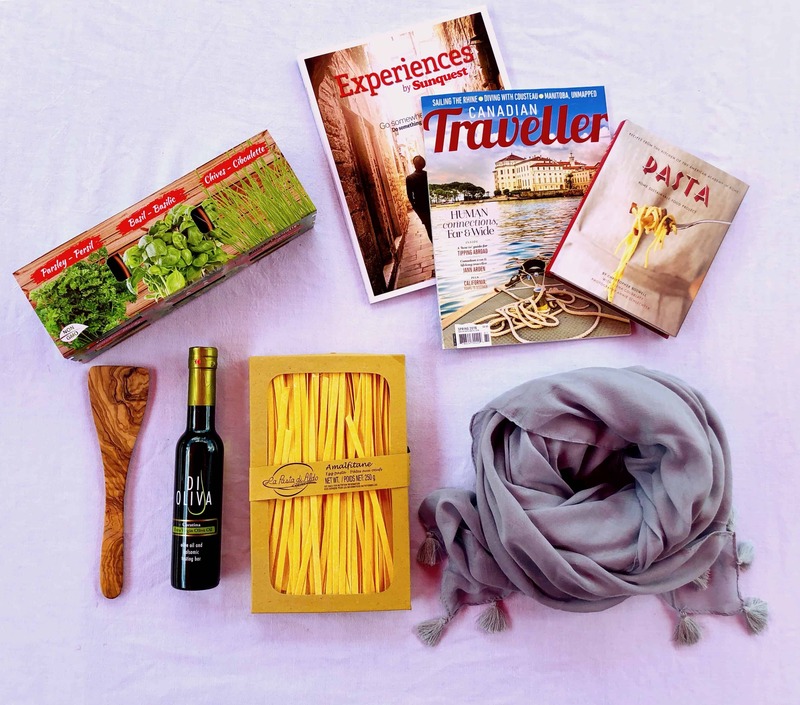 From Taste of Dublin to The Big Grill, there are 160 food festivals a year in the city; but if by some chance you miss every one of them – or even if you don’t – Dublin’s burgeoning food scene is tastefully sliced and diced by Fab Food Trails, whose knowledgeable guides promise an “introduction not only to Irish cuisine but to the city itself.” But it is food that is front and centre, from artisan cheese shops to cafés, food stalls, markets and food halls – and all, of course, with sizeable samples. Come hungry, darlin’. Those who have travelled Ireland know that you can't throw a stone in most Irish towns without putting a church window in grave danger. 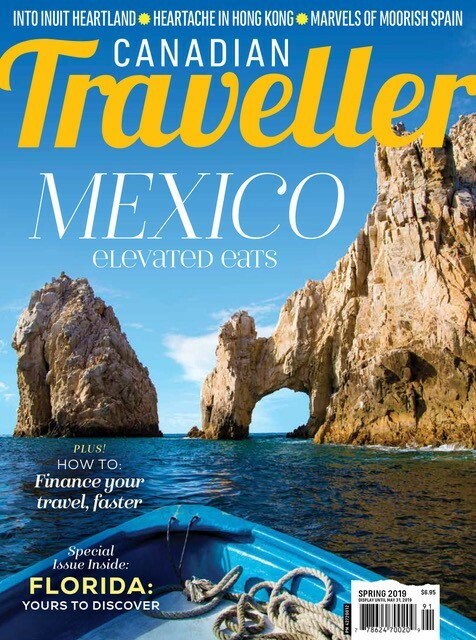 You might think you know the United Kingdom, but do you know about these unique experiences?